The Artist Residency is a collaboration between Sky Institute and Anouk Krantz that celebrates great art with a lifelong quest for the extraordinary. This program harbors artists whose work is deeply rooted in nature and look to detach themselves from from mainstream life in search of the beautiful. Located on Cumberland Island, Ga the Sky Institute and Anouk Krantz Artist Residency program allows artists the opportunity to immerse themselves in completely wild surroundings providing the necessary freedom for developing of new ideas and expressions. The largest of coastal Georgia's barrier islands, Cumberland Island is 17 miles long and consists of breathtaking white sand beaches, rolling dunes, old-growth oak forests, and salt marsh tidal estuaries. The island's pristine habitat remains largely unspoiled and closely resembles that which hosted its original Indian population over 4,000 years ago. Thomas Carnegie, the younger brother and business partner of the famed steel magnate Andrew Carnegie, and his wife, Lucy Coleman Carnegie discovered Cumberland Island for themselves in 1880 and were immediately taken by its natural splendor, abundance, and discreet privacy. Several of these impressive homes still stand today, including Plum Orchard Mansion, Stafford Mansion, Greyfield Inn and the ruins of Dungeness. For almost 100 years the Carnegie descendants continued to frequent the island before generously turning most of the land over to the National Park Service in 1971. It has since been tasked with the delicate challenge of providing public access to one of the country’s most remarkable natural treasures, while limiting access so as to protect its fragile ecosystems. Visitors are limited to 300 a day and can only access the island by boat. Cumberland Island is Georgia's largest barrier island spanning 18 miles long and 3 miles wide. Although many believe that Cumberland Island has the most beautiful undeveloped beaches on the East Coast, a visit to Cumberland is not just a “trip to the beach.” The Island is rich in history, architecture, and natural areas. Where the eastern edge of Cumberland is bounded by the beaches of the Atlantic Ocean, the north, west, and south are bounded by rivers, sounds, and marshes. A sunset across the western marsh of Cumberland Island is an unforgettable view. The sight of the beautiful red sun setting over the marshes of Cumberland is one which draws visitors continually back to the Island. The marshes are very fertile areas of the ecosystem where much of the food chain begins. Georgia, and especially Cumberland, is blessed with thousands of acres of marshland teeming with wildlife, from tiny organisms to shrimp and fish, and even alligators. In the 21st century there is a modern breed of thinkers whose mindset is both traditional and boldly innovative. Stewards of the land, we long to thrive within the natural beauty of the environment while seeking innovation - the brightest ideas, the most sophisticated technologies, and the preservation and regeneration of precious, natural materials. We seek a place that is transformative yet classic, sophisticated yet Old World - a more harmonious was of living that curbs our impact in the environment, creates meaningful commerce, and defines a lifestyle that balances the science of living and the art of living. Graceful. Insightful. Bold. The Sky Institute inspires us to taste the fruits of the land and to preserve its natural resources, with an integrity that shapes our actions in the present and our impact on the future. Born and raised in France, Anouk Masson Krantz moved to the United States in the late 1990s. Living in New York, she completed her high school at the Lycee Francais and earned her bachelor's degree while working for a lifestyle magazine. 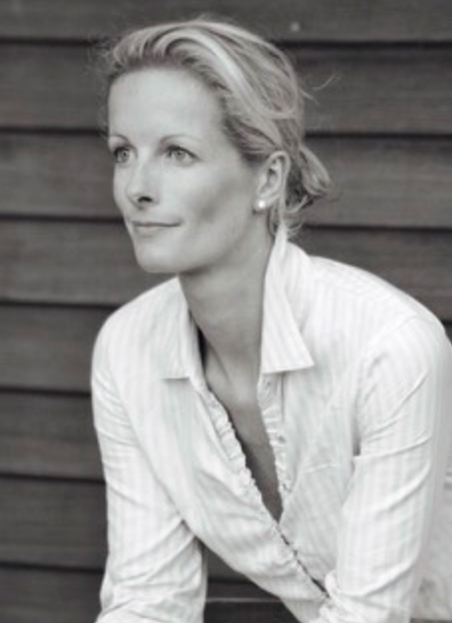 Following college she worked at Cartier's corporate office in New York that oversees the Americas. 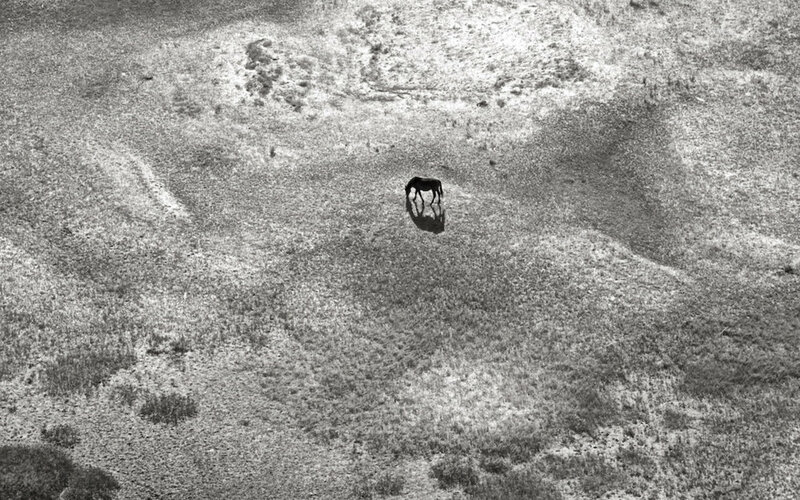 Anouk later studied at the International Center of Photography and has developed several notable bodies of work, including Wild Horses of Cumberland Island. Her work has appeared in prominent galleries and earned accolades from the International Photography Awards and International Monochrome Awards. Her first book Wild Horses of Cumberland Island released in November 2017 became an immediate best seller among the photography genre. The book and her art have been praised by International publications such as Vanity Fair, Town & Country, Harper’s Bazaar, Daily Mail UK and Garden & Gun among many others.